Golden Print Georgette Party Wear Saree in gold and assorted color print. This item in Indian Sarees category was first added to our catalog on 04-23-2016. 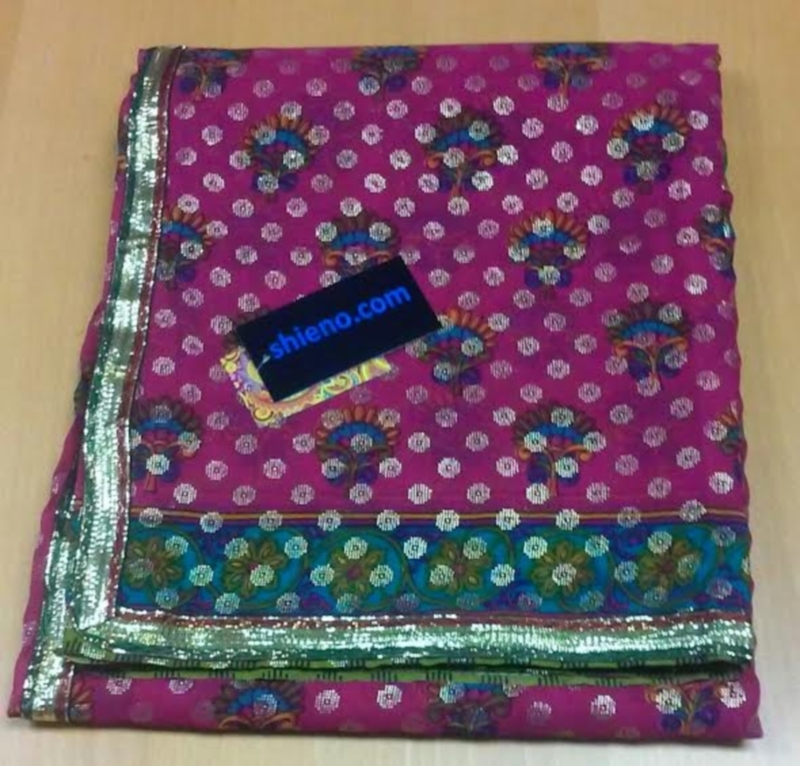 Buy Georgette Golden Print Cocktail Saree, sold & shipped by Shieno Boutique where you can shop online for Latest Sarees, Salwar Kameez, Shawls, Jewelry & Clutches. This Sarees collection has been tagged as women wear, traditional dress, cheap discounted saree. 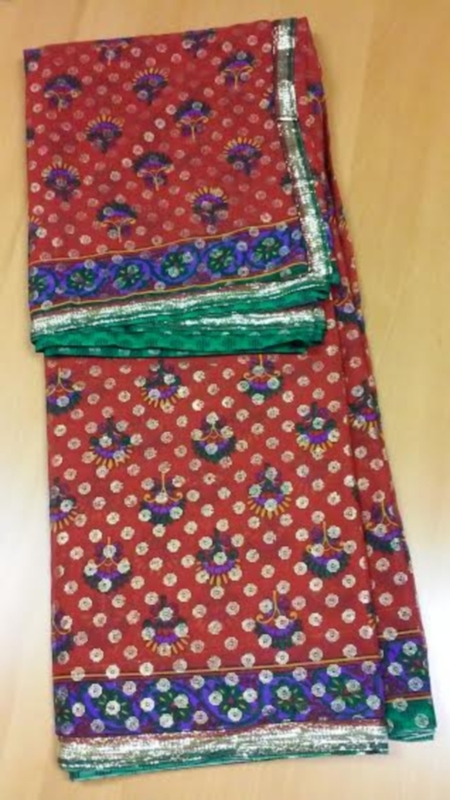 Traditional Colorful Chiffon Georgette Multi Color Sari w/ Blouse 38"